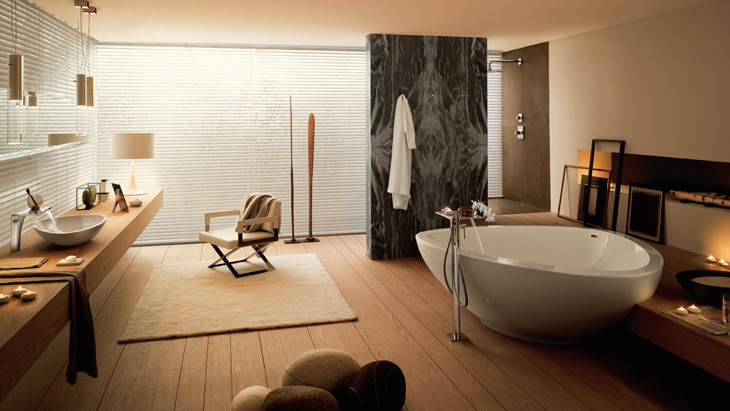 Experience the AXOR Massaud bathroom collection on the new AXOR website. A collection for all bathroom customers who are nature lovers. AXOR Massaud responds to the yearning desire for harmony. The mixer body is a product of nature, the gush jet a waterfall and the bath tub a lake. Bathroom planners can use AXOR Massaud to create a retreat where their customers can leave behind hectic everyday life and immerse themselves in nature.